Transparency International PNG (TIPNG)says that positive steps by the Government to audit the National Identity (NID) Project in response to their campaign is marred by the efforts of National Statistician Roy Koloma which appear intended to evade a police investigation into alleged fraud. 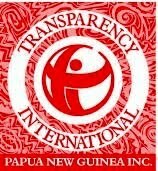 TIPNG, a chapter of the global Transparency International movement, marked its 21st Anniversary in January by identifying 3 key national issues that they would be campaigning for in 2018; these were the Independent Commission Against Corruption (ICAC), enabling legislation for citizens’ constitutional right for free access to public information, and lastly resolution for the scandals involving the NID Project. “In January, TIPNG called for the Government to halt payments to the NID Project until an independent audit was done on the K230m spent by the Department of National Planning, we also called for the head of the National Statistical Office (NSO) Mr. Roy Koloma to step aside whilst investigations of alleged fraud were conducted,” said Mr. Lawrence Stephens, Chairman of TIPNG. “However, it is now reported that Mr. Koloma has taken what appears to be a deplorable step of attempting to evade the police and apparently demanding that he be given special consideration. TIPNG reminds Mr. Koloma and all citizens that they must comply with the efforts of legal authorities, exercising constitutional powers on behalf of us all, to cooperate when requested to provide information". Mr. Stephens emphasised. Mr Stephens added that the Transparency International Secretariat, in Germany, will be releasing its global Corruption Perception Index (CPI) on February 22nd, an index in which countries are ranked and scored by levels of perceived corruption. "Sadly Papua New Guinea has consistently ranked poorly. However, if the Government and police continue to respond as quickly as seen with the NID saga, then it is inevitable that one day the perception of corruption will decrease and our CPI score will improve.